I don't think it's any secret how near and dear Block Island is to my heart. I've probably explained my love affair with the island plenty of times here on my blog, so I'll spare you that story and just say, if you ever get the chance, go. Just go. It's a little slice of heaven right here in New England. Back in August, my mom, dad, sister and I spent a wonderful weekend out there. Hobson had to stay back at home with the pups, so it was just the four of us. It brought me back to my childhood days, when we spent summers boating to and from the island, across Long Island Sound. It was nice to have that time together. The house we rented through Attwood Real Estate was one we had never stayed in before, but boy, was it perfect in every way. The entire weekend, I could not stop raving about its charm. There was a two bedroom main house, then a walk just a few steps across a sprawling deck brought you to a loft studio. I could have moved in permanently. Attwood did a wonderful job in finding us the perfect rental. The whole place was filled with beautiful antiques and decorated in such a quaint coastal way. Exactly how you would picture an island home. There were views from every window, and they were absolutely breathtaking. We did all our favorite things while we were out there. 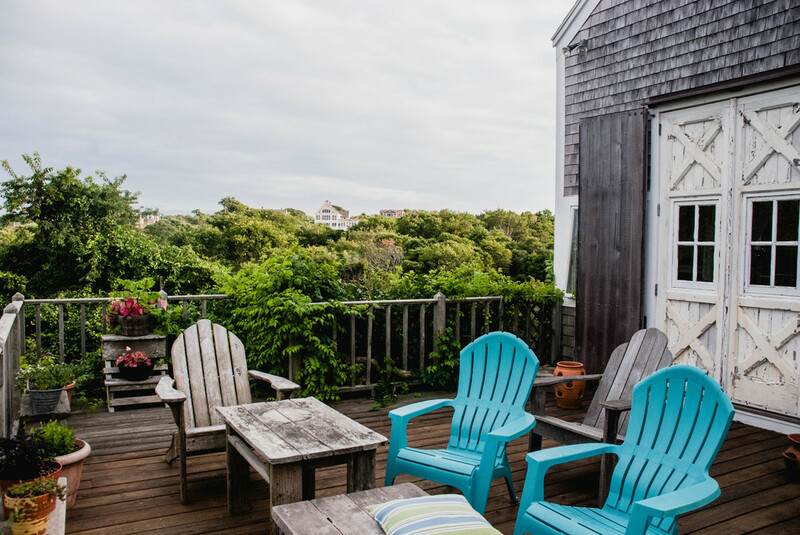 Ate at the tried-and-true best restaurants on the island, walked the docks of where we used to dock our boat, started our mornings with the world's best doughnuts, and really and truly just enjoyed the peacefulness that Block Island seems to instill in us. I will never be able to put my finger on just why we feel so at home here, but we do. It's our special place. As life has sped up so much these past few years, we aren't able to spend weeks at a time out here, but I'm glad that we still find the time to visit here every single summer.